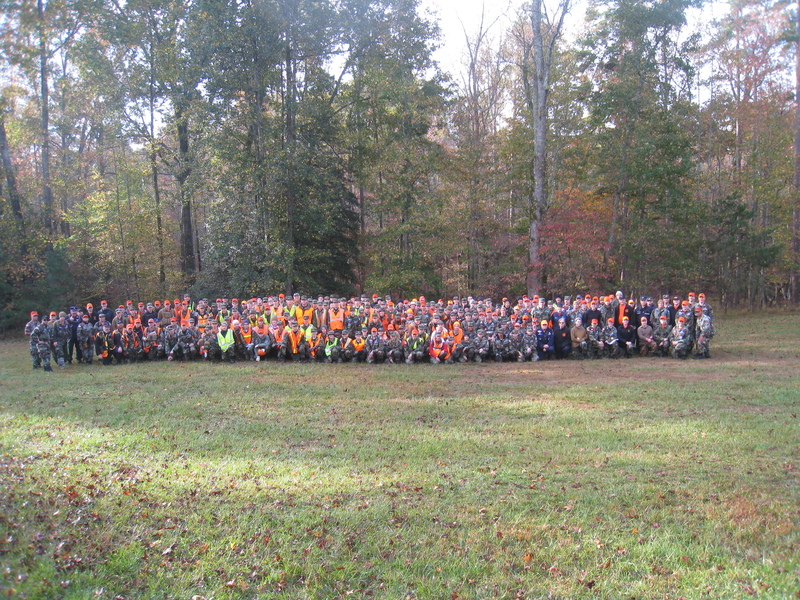 11/1/2015–ALBEMARLE, NC–The 6th Annual NCWG Ranger Training Weekend (“RTW”) was held on 30 Oct – 1 Nov, 2015 at Morrow Mountain State Park in Albemarle, NC. The 230 RTW participants hailed from North Carolina, Pennsylvania, Tennessee, Florida, Georgia and other wings. At RTW, training was set up in squadrons by skill level with Basic, Advanced, and Expert Independent Study courses taught by certified instructors. The squadrons were Alpha, Bravo, Charlie, Delta, Echo and Tracking. The training included CAP Ground Team skills, Ranger Skills (Levels 1-3) and the NASAR Tracking Fundamentals course. During the weekend, cadets and Senior Members honed their SAR skills during both daylight and nighttime operations. Activities included compass and navigational work, map reading, hiking for miles with 24 and 72 hour packs, ELT sorties, medical treatment skills and physical fitness runs. The Deputy Commander/IC for RTW was Maj Jason Bailey. Maj Bailey led the opening and closing formations and presented the following awards to cadets for their exceptional work: yellow scarves went to C/Lt Col Daniel Donahue and C/2d Lt Moriah North; an orange scarf went to C/Lt Col Jonathan Knapp; and the NC Ranger School Commander’s Coin went to RTW Honor Cadet C/MSgt Mason Berger. The cadets were ably led by C/Capt Wesley Bishop, RTW Cadet Commander, and C/Lt Col Jonathan Knapp, RTW DCC. Maj Pete Bohler was the RTW Safety Officer. He warned everyone to be conscious of the weather, fatigue, accountability, hydration and situational awareness. The Medical Unit Leader was Maj/Dr. Ricky Lyerly. Maj Lyerly and his first-rate staff of medics ensured that any injuries were treated quickly and competently. As the largest Ranger training event ever hosted by the NCWG, RTW was an outstanding success.